Currently a Registered Director of Health for Carolina Village, Velda Capps is being recognized by the American Health Council, as one of America’s “Best in Nursing” for her 40+ years of excellent service within the healthcare industry. 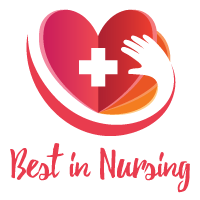 With expertise in Communication and Nursing, Capps has worked and served as an RN on floor duty for several years, honored with The Longest Tenure Award in 2012. Receiving her RN degree from the Fletcher School of Nursing in 1972, Capps became involved in her profession after being exposed to nursing at an early age. Her aunt, a nurse, further inspired Ms. Capps to enter the nursing field, and attributes her success to her passion for Geriatrics and her ability to build relationships with her patients. Capps’ day to day responsibilities include assessing regulations in a nursing role, as well as setting up support groups, health fairs, and wellness programs. She shares her workplace’s mission of making each resident the heart and soul, as well as the very lifeblood of Carolina Village, being among like-minded, friendly, and vibrant healthcare professionals. Ms. Capps cites her marriage to her husband, Jake and helping raise her fifteen grandchildren as personal achievements. During her free time, she enjoys gardening, beach-hopping, and spending time with family. Carolina Village is Hendersonville’s only continuing care retirement community. Residents hail from various areas of the United States as well as foreign countries. Diversity and harmony allow residents to enjoy cultural, educational, recreational, and social activities at the Village as well as in the Hendersonville area. Residents are the heart, soul, and the reason Carolina Village exists. It is a community full of active, vibrant, accomplished, and just-plain friendly people. Carolina Village responds to the individual needs of their residents. Their residents experience peace of mind in their safe, comfortable neighborhood while enjoying the comprehensive services covered by a monthly fee. Services include: Interior and Exterior Maintenece of residence and provided appliances, Landscaping and Groundskeeping, Trash Removal and Pest Control, 24-hour Security and Emergency Call System, Bi-weekly Housekeeping, Scheduled Deep Cleaning, Weekly Laundering, Activities and Events, Excercise & Wellness Programs, Scheduled Transportation, Mail & Shipping Services, and Banking Services.